Thanks to the many, many folks that braved the downpour today to get to the festival. 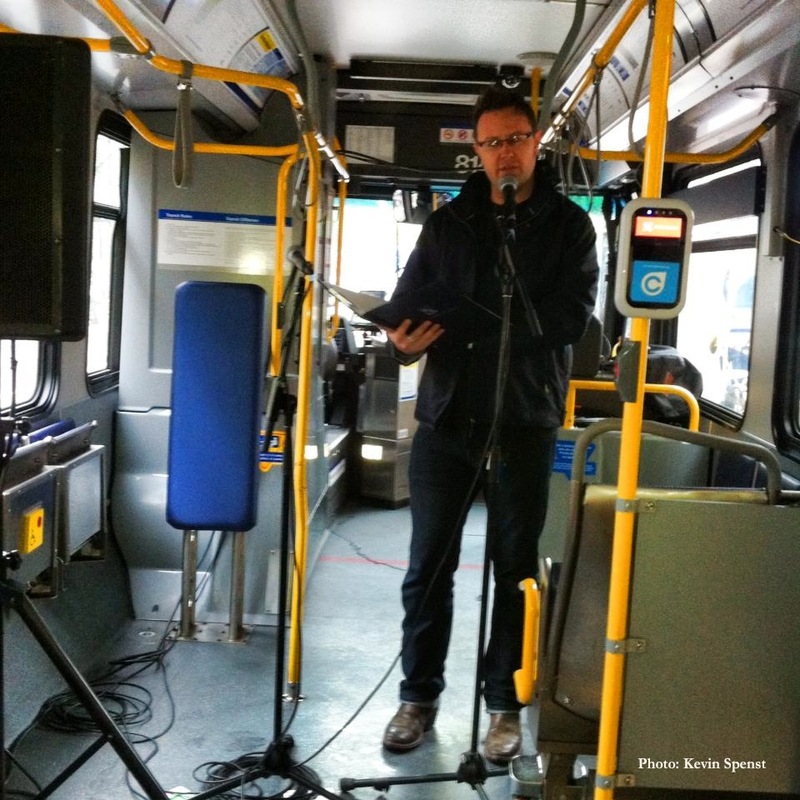 I read in a packed “Poetry in Transit” bus that was parked beside the library as part of the festival. Thanks also to festival staff, organizers, and volunteers. It was a good one! Thanks for all those who tuned in to the radio show yesterday. Was a lot of fun! Thanks also to Matt Granlund for doing a great interview and letting me read some poems into the airwavvves…here’s the podcast in case you missed it and would like to hear it. Word!